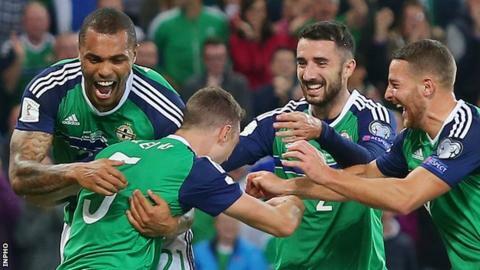 BBC Northern Ireland will broadcast highlights of all Northern Ireland's games - home and away - in the Nations League and Euro 2020 qualifiers. The deal with host broadcaster Sky Sports will begin with coverage of Saturday's Nations League opener against Bosnia and Herzegovina. Stephen Watson will present Saturday evening's programme on BBC One Northern Ireland at 22:55 BST. Thomas Kane will be on commentary duty at Windsor Park. Former Northern Ireland international Stephen Craigan will be analysing the action in the highlights programme. All of Northern Ireland's Nations League games and Euro qualifiers will also be live on BBC Radio Ulster. Saturday's Radio Ulster coverage will begin at 13:30 with Joel Taggart introducing the coverage and Michael McNamee alongside John O'Neill in the commentary box for the game which kicks off at 14:00. "We're looking forward to bringing fans highlights of these games with the action kicking-off on Saturday," said Jane Tohill, executive producer BBC Sport NI. "After such a successful Euro 2016 tournament, fans will be hoping Michael O'Neill's men can secure qualification for their second consecutive Euro finals in 2020." Next up for Northern Ireland in the Nations League, after Saturday's game, will be the away trip to Austria on Friday, 12 October.